Despite falling within the Group 2-3 car seat category, the following Jane car seats are compatible with the XTEND impact shield. When used with this XTEND Impact Shield it will make the car seats suitable for Group 1 classification too. Technically known as an impact shield, XTEND is a protective cushion that effectively operates as a child retention system. The easy to use accessory means that children of between 9kg (20lbs) - 18kg (40lbs), Group 1, can safely travel in seats that are designed for Group 2 or 3. 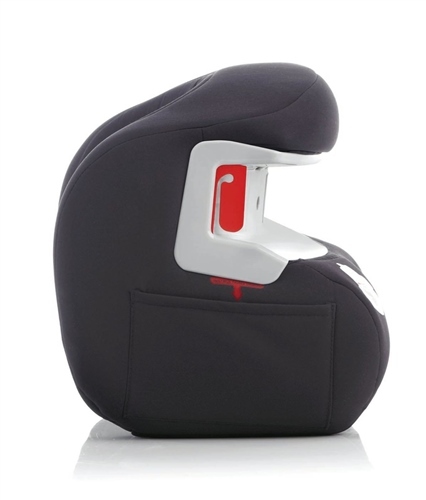 Essentially, by adding the XTEND the car seat can be used for children from 9kg (20lbs) - 36kg (79lbs) in weight, approx. 9 months to 12 years. Manufactured from Expanded Polystyrene, XTEND is lightweight but also highly energy absorbent. Extra ventilation windows also allow your child to feel comfortable and fresh while travelling.